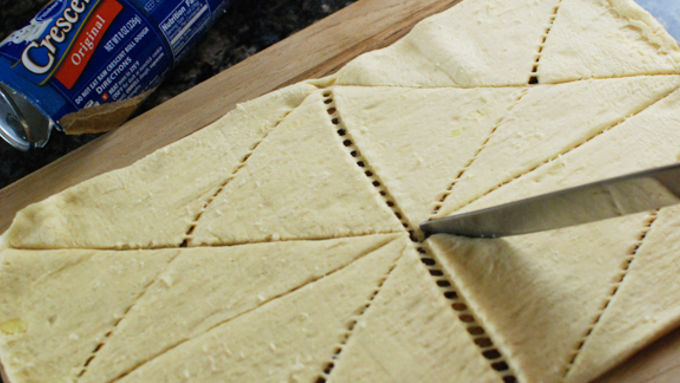 Open the crescent package and unroll the dough. Cut the triangles in half into smaller triangles. 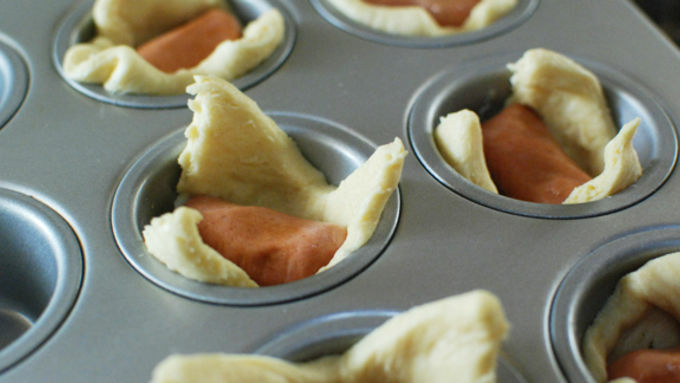 Press each triangle into the cups of a mini muffin tin. Press a hot dog into each crescent cup. Bake at 375°F for about 12 minutes until lightly browned and fully cooked. Heat up the chili and add a spoonful to the the top of each cup. Top with cheese and sour cream. Serve hot! 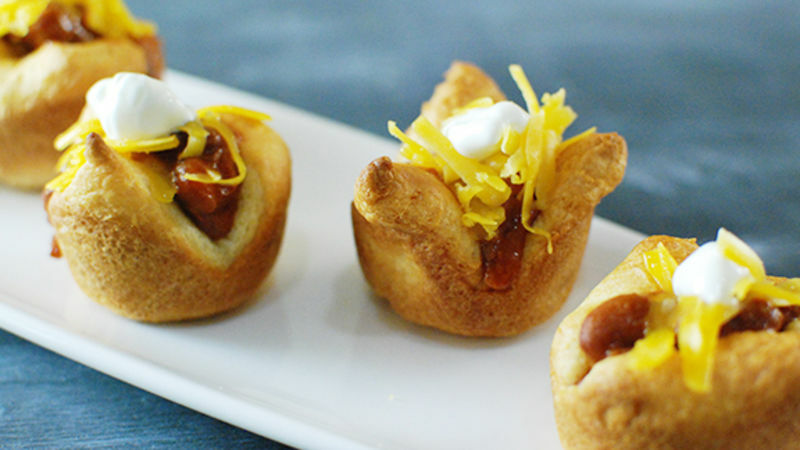 These Mini Chili Crescent Cups are an unbeatable fall comfort-food mash-up. As the weather turns from warm to cold, and grills around the country are covered up and buried in the garage, people need new ways to eat their monthly hot dog allotment. 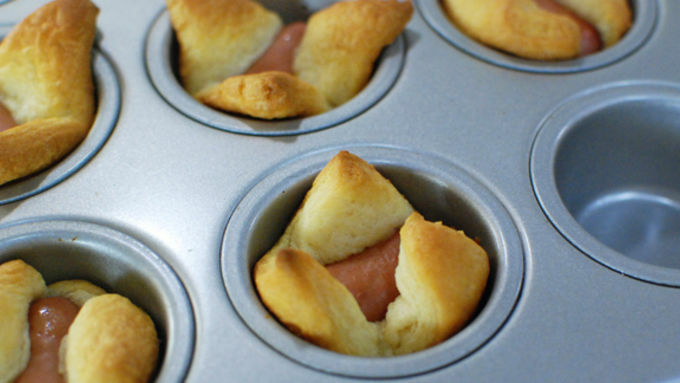 That’s where Pigs in a Blanket come in to save the day. Always a holiday favorite, these little crescent wrapped dogs are really easy to make and always get devoured. No matter how snobby people get about food, they will eat these. I, for one, absolutely love them! I wanted to do a fun variation on the recipe and load them up with chili and all the usual toppings. So I decided to make them into mini cups to hold the chili. 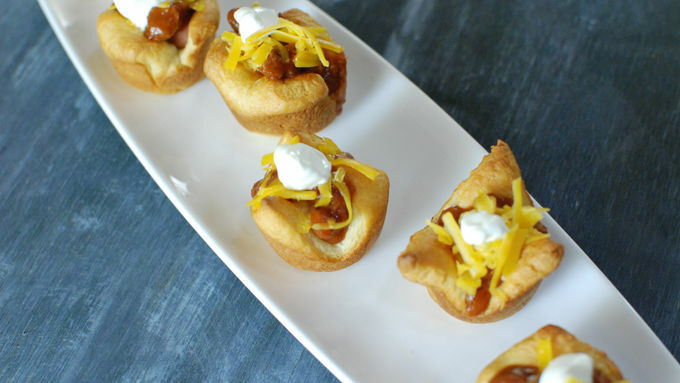 These Mini Chili Dog Crescent Cups will not only work great at your next upcoming holiday parties, but would also steal the show next Sunday during a big game. Load on the chili, cheese, and sour cream and watch them disappear!